The LAaLALand Alert!! List started organically when I wanted to find cultural things to do in LA. Los Angeles is one of the most diverse cities in the world yet it’s expansive landscape can be very intimidating. This site helps people find eclectic things to do for $10 or less (usually.) Many people plan their weekends with events listed. Enjoy! The LAaLALand Alert!! 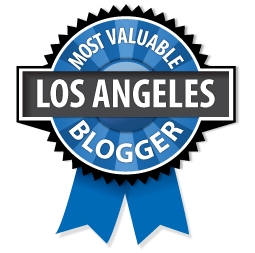 was voted one of CBS LA’s Most Valuable Bloggers!